Running bare .. my first steps! Look, the Tarahumara wear skirts too! But also note the difference in foot strike between two amazing runners. I’d read Chris McDougall’s book Born To Run late last year, in which he chronicles his search for the answer to “Why does my foot hurt”. In it he explores the life and running habits of the Tarahumara Indians of Mexico’s Copper Canyon, arguably the greatest distance runners in the world. It’s brought barefoot running to the public arena and added fuel to the growing number of barefoot running converts. I see loads of runners in Vibram Five Fingers on the trail and at the races, so I’d say it’s definitely taken root in Singapore. I’ve been thinking about barefoot running for a while now, but with wanting to qualify for UTMB last year, I really didn’t want to make any drastic changes. So I thought I’d make a start this year, before things really ramped up. 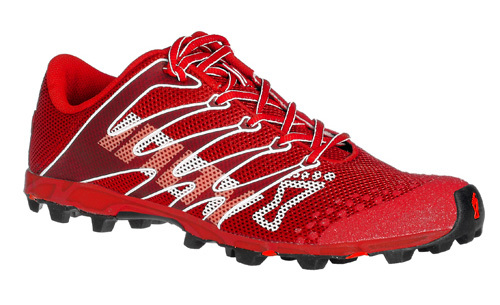 Also, I’ve just ordered a pair of Inov-8 X-Talon 190 .. touted as the world’s lightest XC and mountain shoe. There’s a 3mm heel-toe drop (the differential between the heel (9mm) and forefoot (6mm) height – the lower the number the ‘flatter’ the shoe) and it’s very minimalist for the terrain it’s designed for. I’d like to be able to use it for the UTMB so I thought I’d better get my skates on (… or would that be off?) and get used to some barefoot running. Inov-8 X-Talon 190 … fierce or what! I only wear lightweight trainer/racers, anything from the Adidas Adizero range. I clocked up 1700 miles (2720 km) of injury-free running last year and I don’t think I’ve had a running injury in the last 15 years I’ve been running. I don’t bother changing my shoes too much either. When they get worn out they feel better than when they were new. However, a zero heel drop is quite a significant difference from what I’ve been used to so far, definitely time to start some specific strengthening. I took a look at The Running Barefoot website … there’s a lot of information there and I didn’t read a lot of it (eyes too tired!) I just skimmed the key words ‘relax’ and ‘high knees’ and figured that would do for a 5 minute test run. So yesterday evening I ran to the local track, a 440m painted path just by the community centre. Took my shoes and socks off, put them in my pack, and ran. … and you know what? Even though I was running on flat ground, at a peak time when all the local residents are out in force, and it was the furthest thing from a trail that you could think of … I loved it. While I was taking off my shoes I remember thinking,”Okay, high knees and relax!” .. and then I was off. I must’ve had a huge grin on my face, but it felt so natural and liberating to be running round the track barefoot with no heel strike. Somehow I clicked right into it, and it felt exactly right. Keeping my knees high was definitely the way to go, and that led to a natural forefoot strike just like I hoped. No jarring, didn’t feel like there was any negative impact or pain. I only planned a 5 minute run to get used to it, but I was having so much fun I ran for 15 minutes averaging 8 min/mile. I stopped because my toes were starting to feel tender and I didn’t want them to blister. The stares I got from the walkers, joggers and local soccer players warming up were hilarious. They all did a double take when they saw me running with bare feet. Maybe my fuschia nail polish had something to do with it as well. Wait till they see me in my skirt! Fuschia toes .. great camouflage for missing or black toenails! Now I’m writing this, my toes are still a little sore and I’m researching which pair of Vibram Five Fingers will suit me best (I’m thinking Bikila). Any suggestions? I can’t wait to try running run barefoot on the trail but I think having some form of protective cover would be prudent … plus I’d end up having crocodile feet with all the hard skin I’d have to develop! It’d be no fun at all if I had to stop after 15 minutes either! I figure I’ll do 15 minutes each day for a week, then see if I can manage 30 minutes without blistering my toes. Stay tuned! The apple crocodiles had the grape bunnies backed up against the pineapple wall … was this the end for the hapless hoppers?